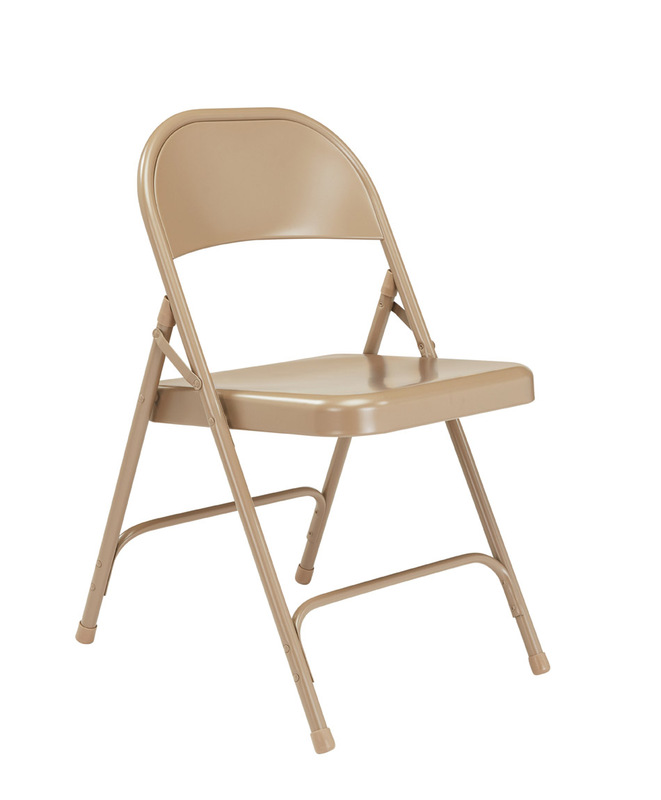 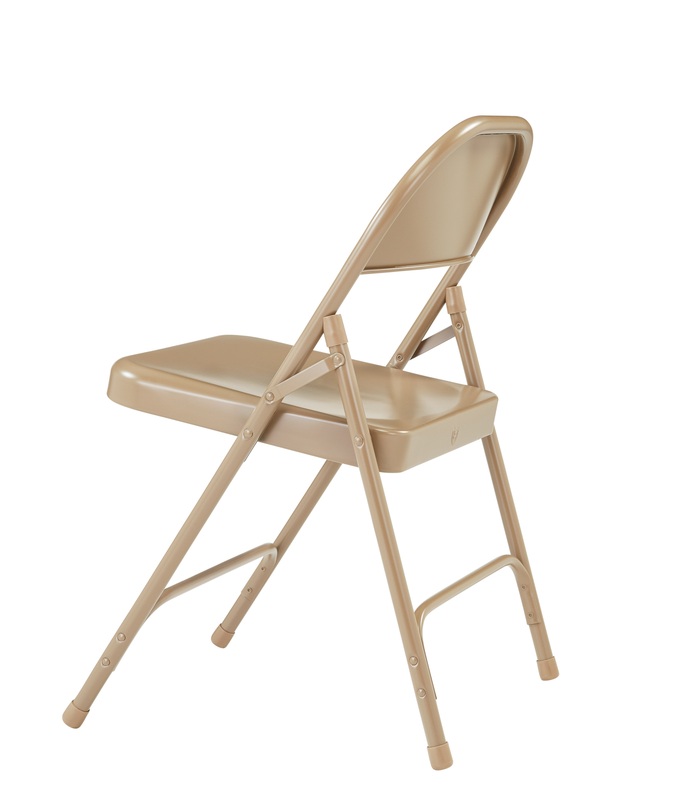 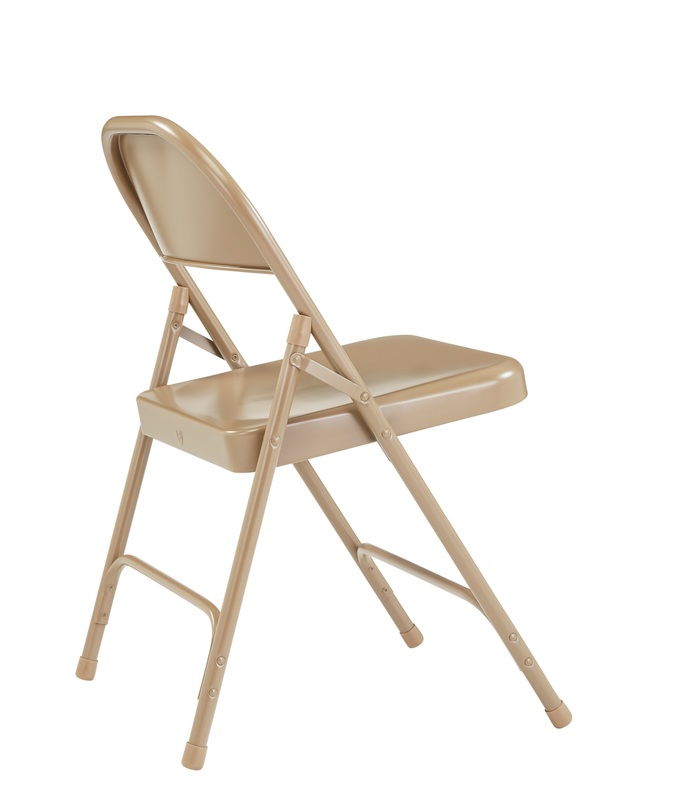 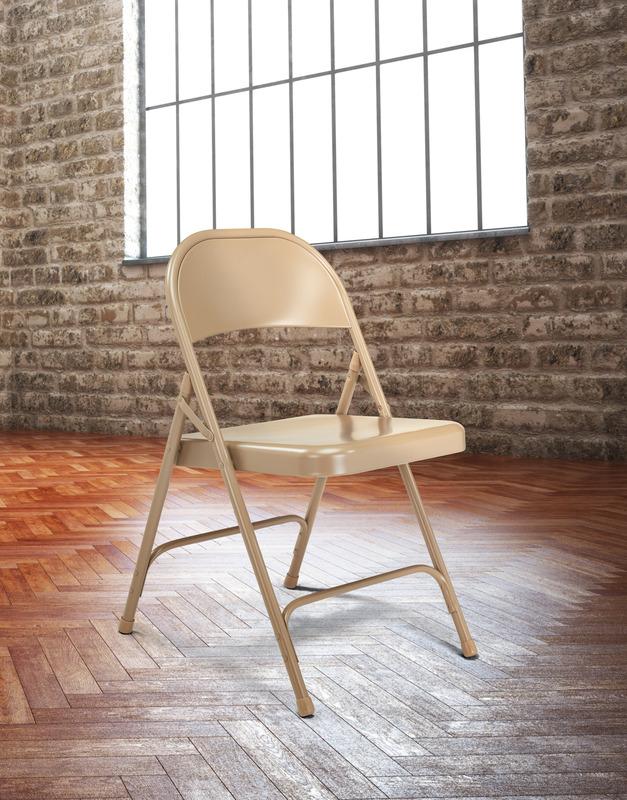 Our 50 Series standard all-steel institutional-grade folding chair features a heavy-duty powder-coated 19-gauge tubular frame with a 2 1/4 frame strengthener on each side of the seat. 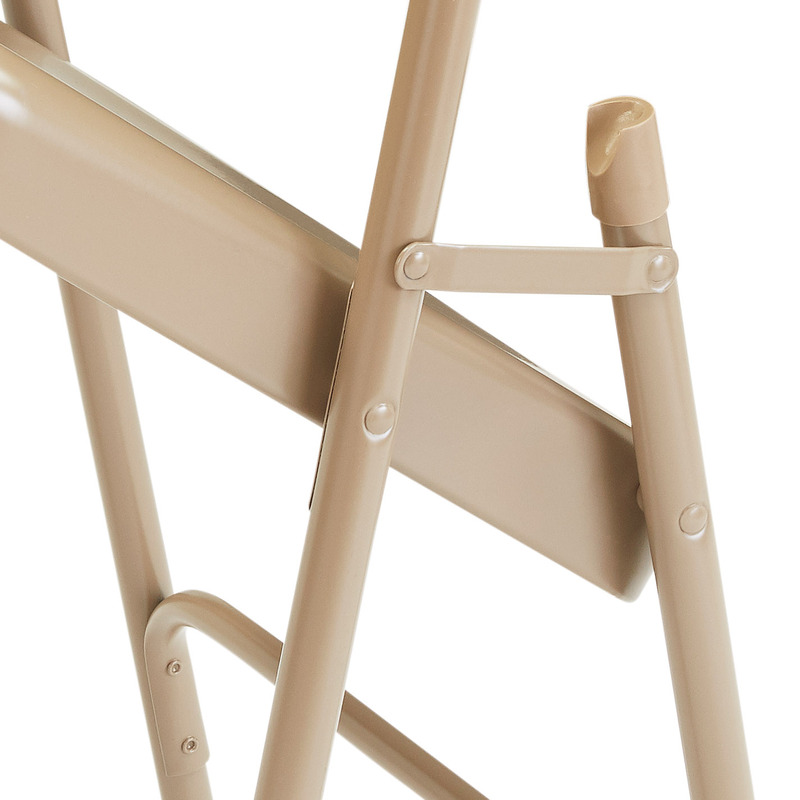 Two double-riveted U-braces - one in front and one in back - securely support the single-hinged legs. 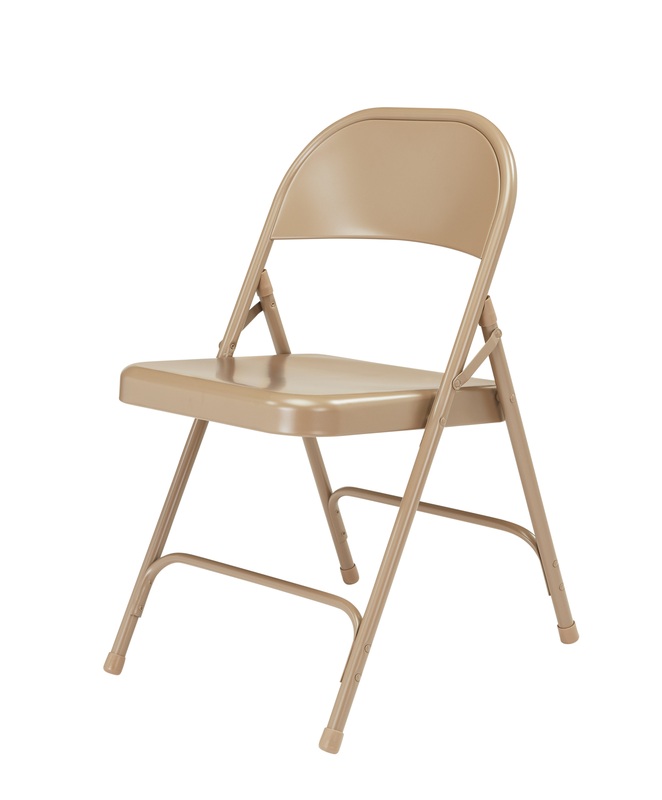 The seat is designed with a waterfall-style front for added comfort. 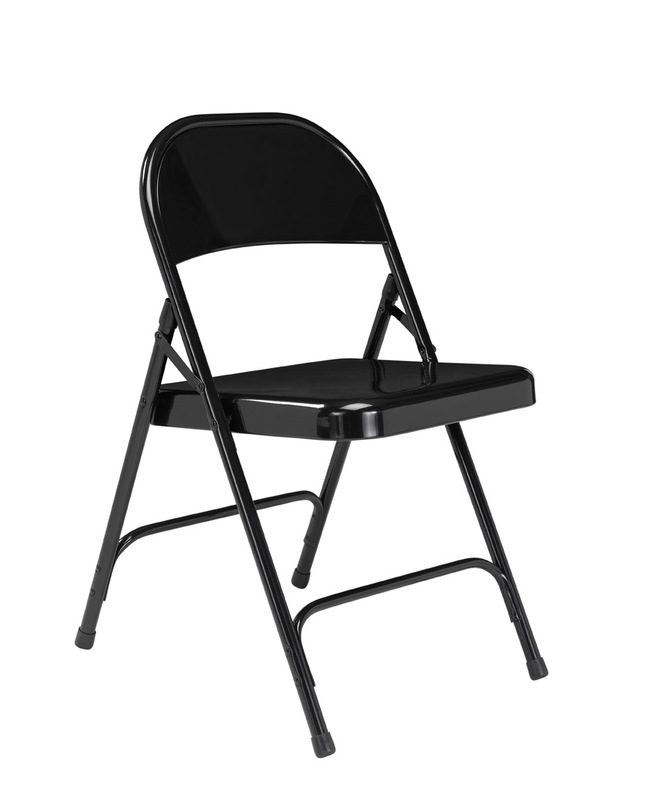 A round contoured backrest features curled safety edges and is electromagnetically tack-welded to the frame. 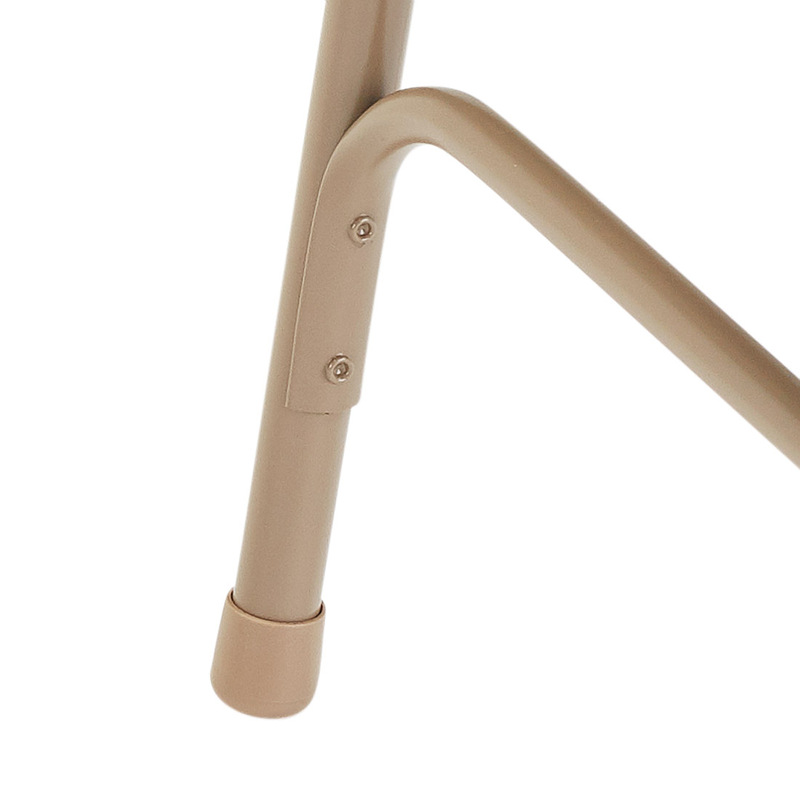 Color-coordinated V-tip stability plugs provide added reinforcement at the frame's junction and matching replaceable glides prevent floor damage. 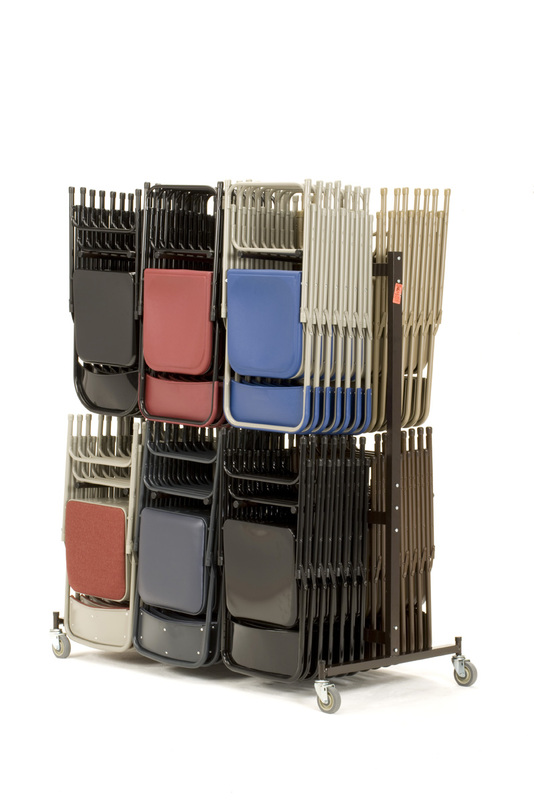 The 50 Series meets MAS Certified Green and ANSI/BIFMA standards.